Contact Mercedes-Benz of Scottsdale today for information on dozens of vehicles like this 2019 Mercedes-Benz S-Class AMG S 63 4MATIC. This Mercedes-Benz includes: DRIVER ASSISTANCE PACKAGE Lane Departure Warning Lane Keeping Assist Adaptive Cruise Control WARMTH & COMFORT PACKAGE Cooled Rear Seat(s) Heated Rear Seat(s) Heated Steering Wheel Seat Memory NIGHT VIEW ASSIST PLUS Night Vision HEAD-UP DISPLAY Heads-Up Display *Note - For third party subscriptions or services, please contact the dealer for more information. * Pull up in the vehicle and the valet will want to parked on the front row. This Mercedes-Benz S-Class is the vehicle others dream to own. Don't miss your chance to make it your new ride. This AWD-equipped vehicle will handle beautifully on any terrain and in any weather condition your may find yourself in. The benefits of driving an all wheel drive vehicle, such as this Mercedes-Benz S-Class AMG S 63 4MATIC, include superior acceleration, improved steering, and increased traction and stability. Enjoy the drive without worrying about directions thanks to the built-in navigation system. 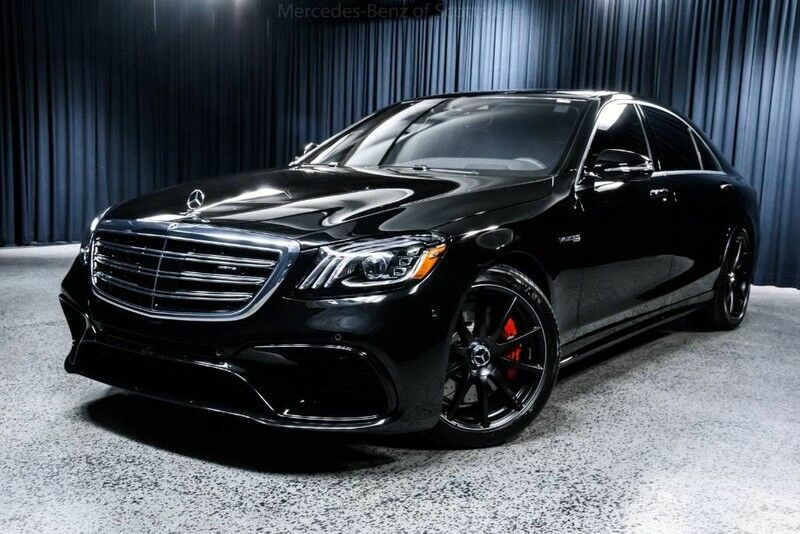 This 2019 Mercedes-Benz S-Class AMG S 63 is proudly offered by Mercedes-Benz of Scottsdale You appreciate the finer things in life, the vehicle you drive should not be the exception. Style, performance, sophistication is in a class of its own with this stunning Mercedes-Benz S-Class. Comfort. Performance. Safety. Enjoy all three with this well-appointed AWD 2019 Mercedes-Benz. You can finally stop searching... You've found the one you've been looking for. Just what you've been looking for. With quality in mind, this vehicle is the perfect addition to take home.